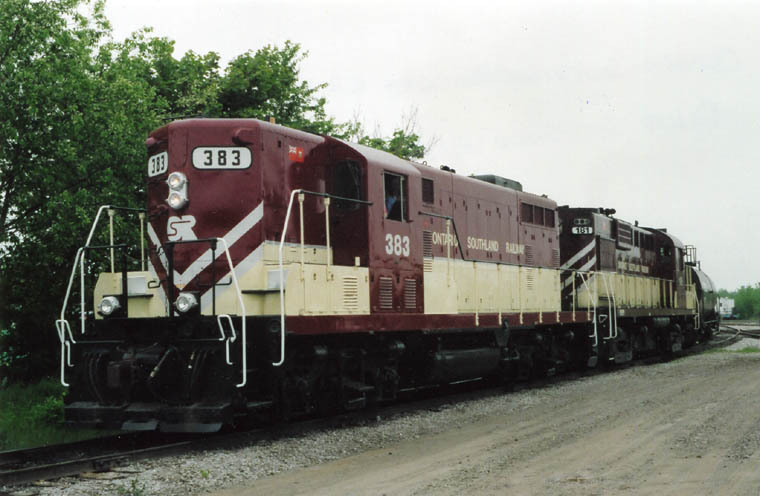 180 in its new paint scheme. 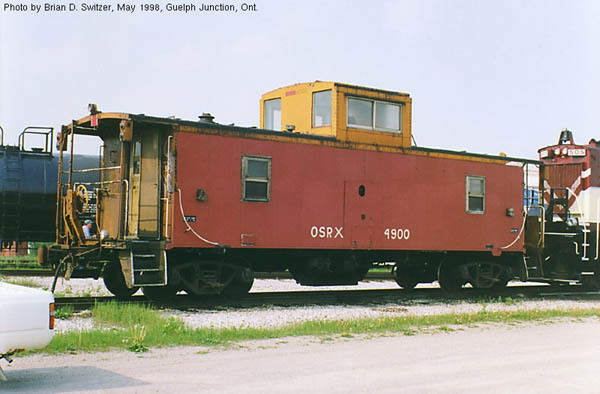 pull a long train from Guelph Junction yard next to CPR Galt Subdivision. 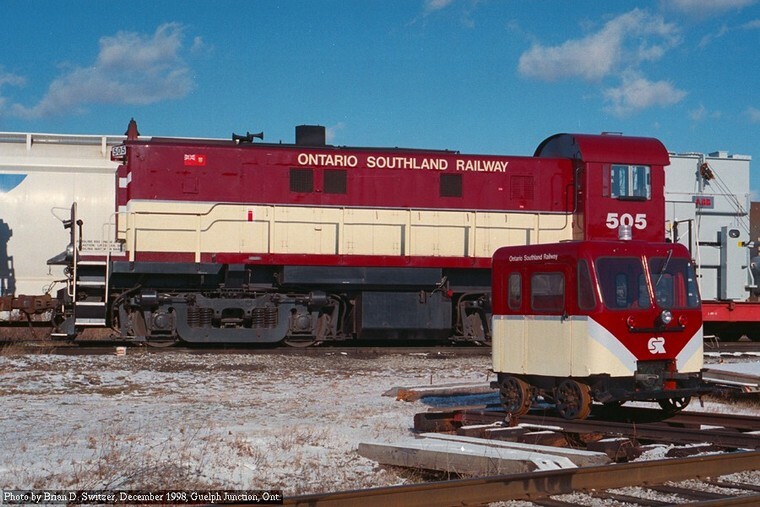 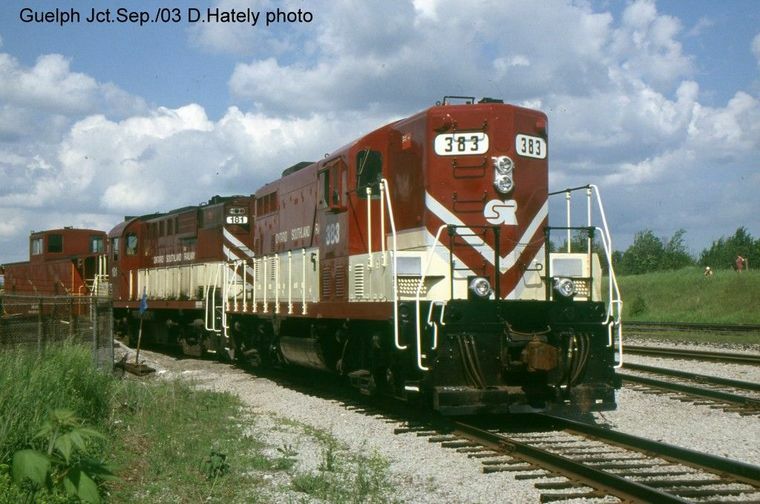 505 (ex CP 8021) RS-23 with a custom cab track motor car! 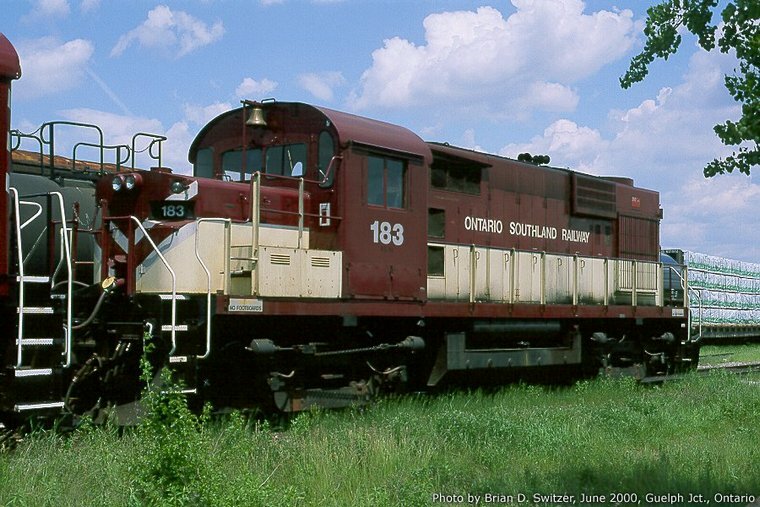 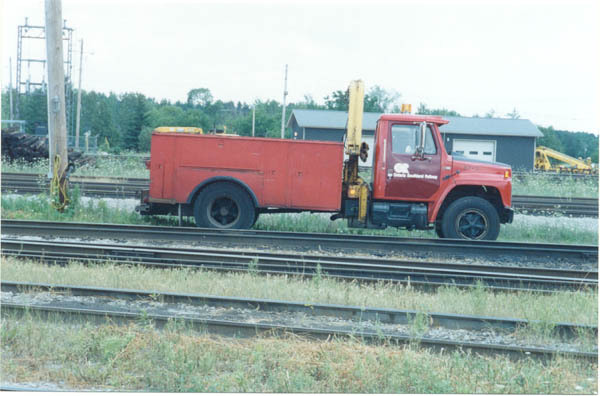 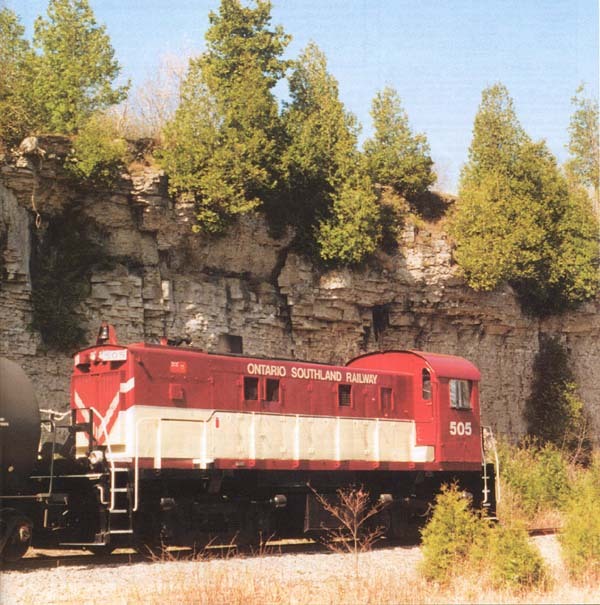 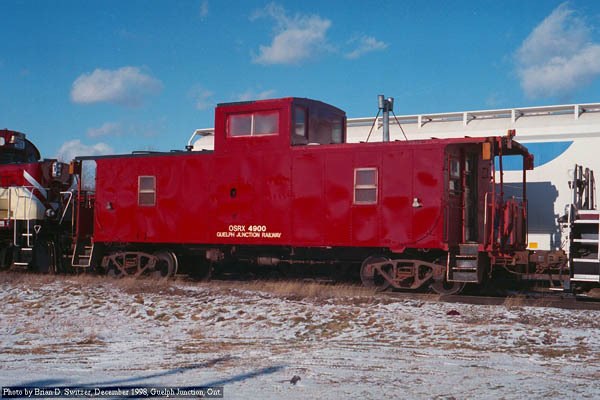 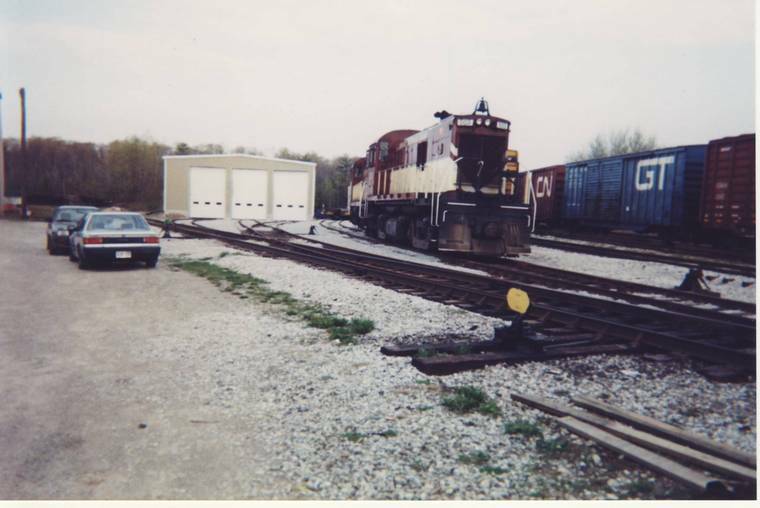 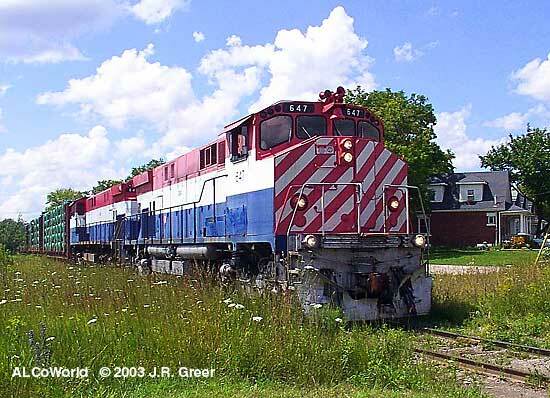 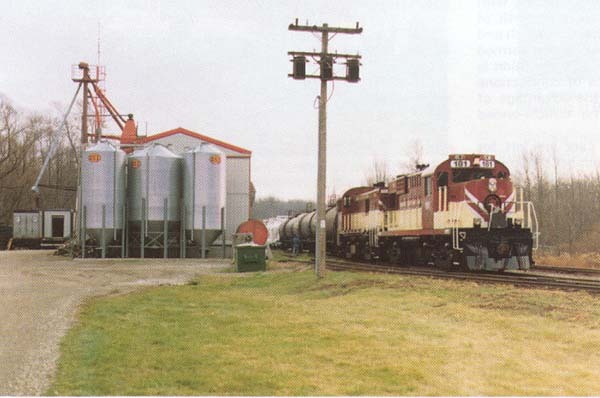 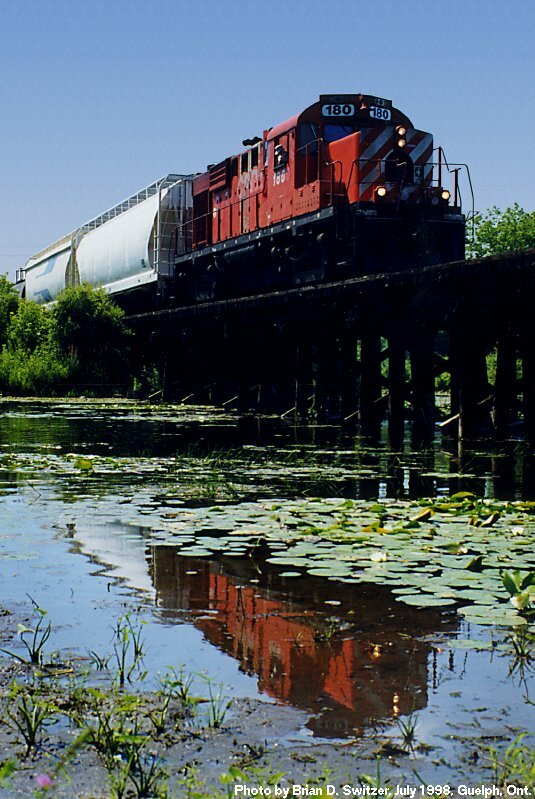 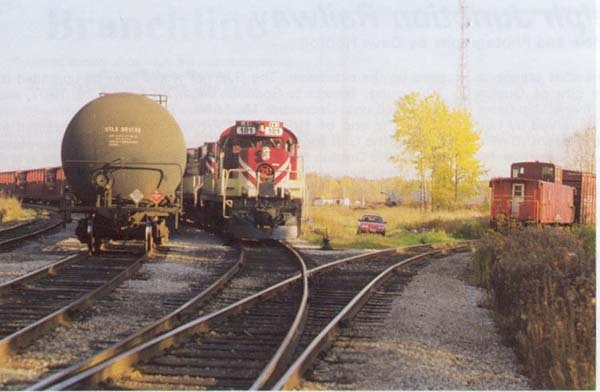 OSR enginehouse at Guelph Junction, built 2001, 50 x 175 feet, 3 tracks can hold 2 units each. 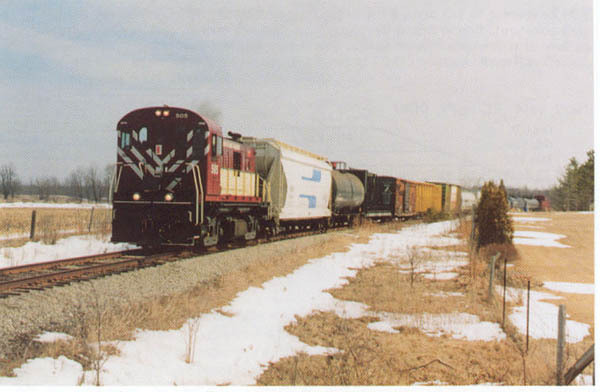 505 (ex CP 8021) handling 12 car train in 2000. 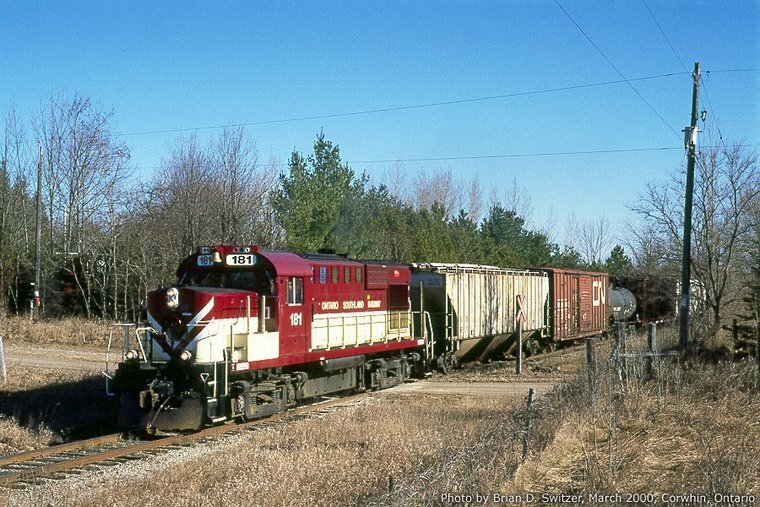 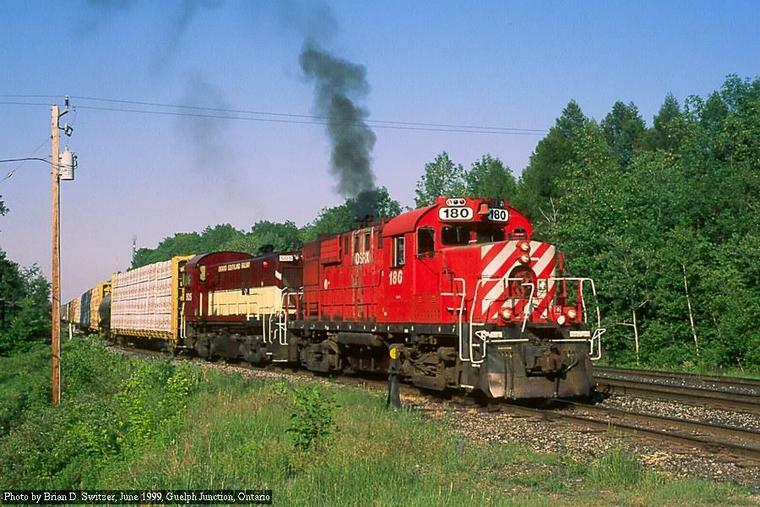 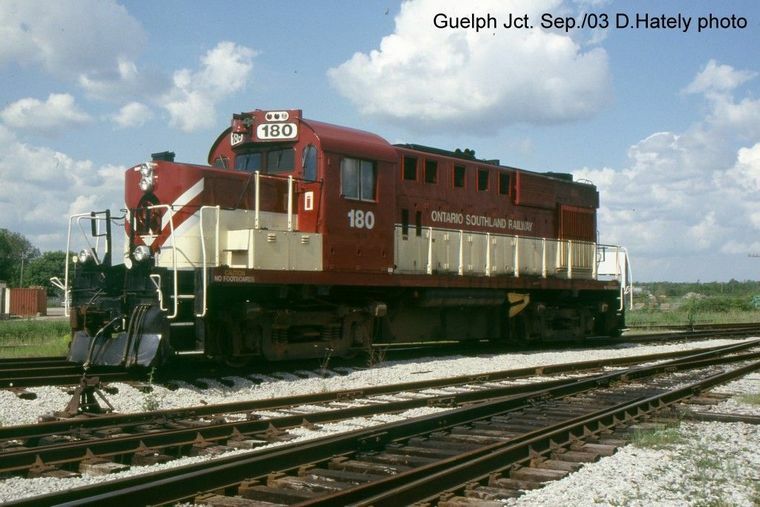 1860 (RE#180) & van 4900 (ex CP 434900) Guelph Jct. 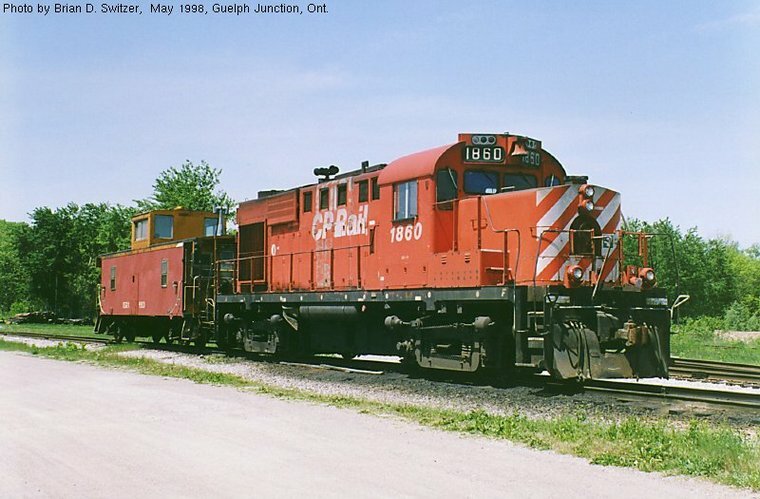 180 on wooden trestle south end of Guelph. 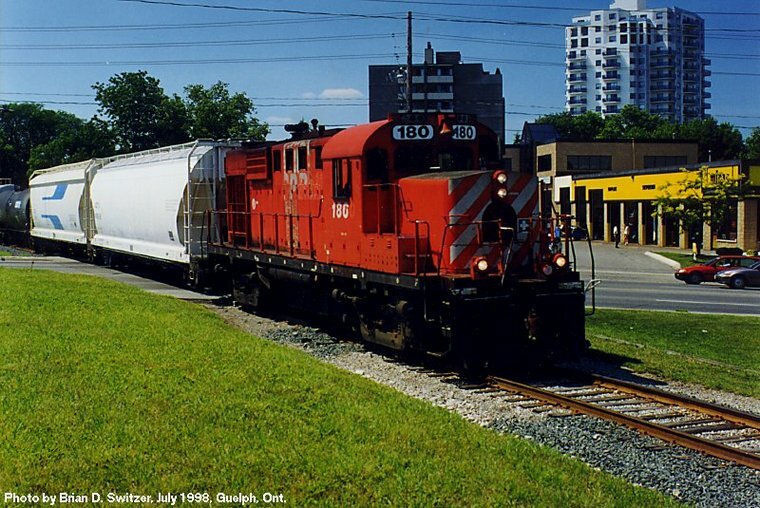 180 at Woolwich St. & Speedvale Ave. in north end of Guelph. 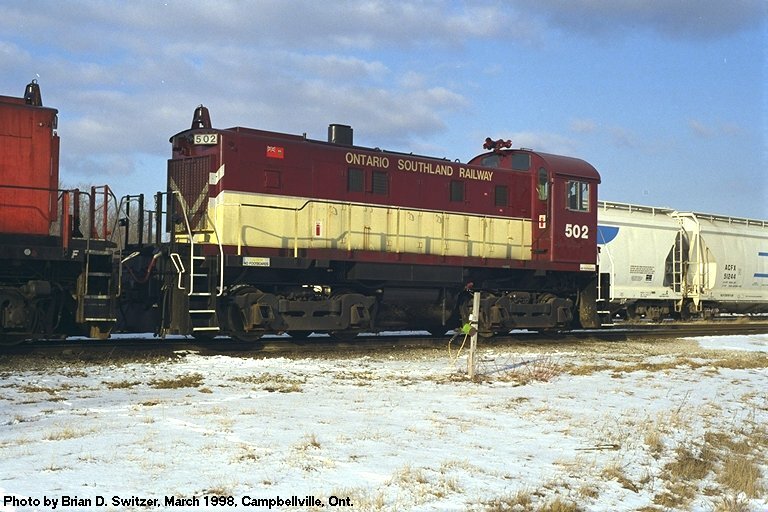 OSRX 4900 (ex CP 434900) at G.Jct. 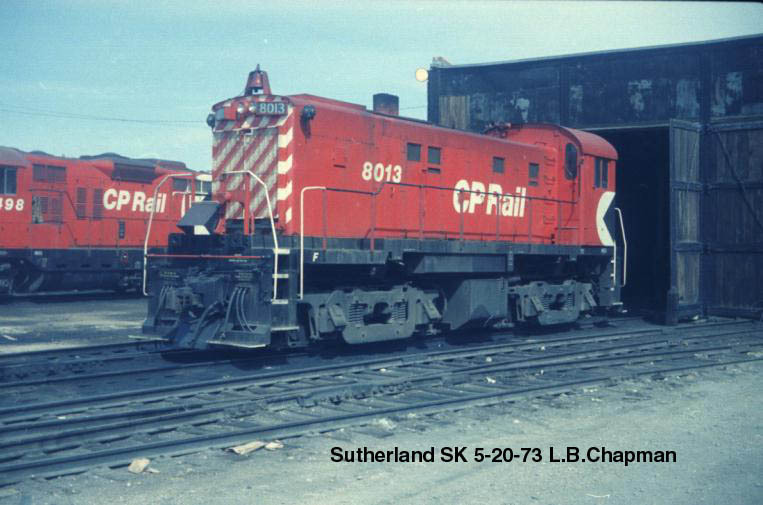 CP 8013 at Guelph Jct. 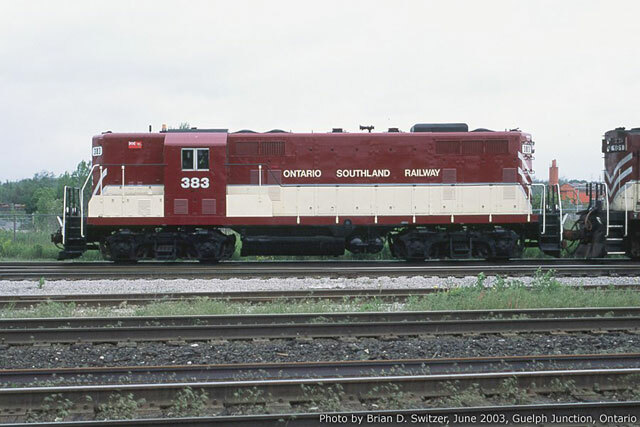 Above photographs Brian D. Switzer except as otherwise credited.